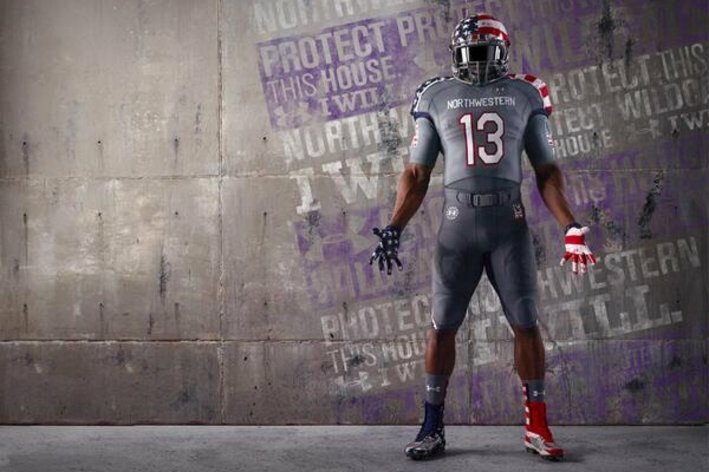 We’ve seen a lot of cool Wounded Warrior college football uniforms in recent years but nothing like what Northwestern will be wearing against Michigan on Nov. 16. 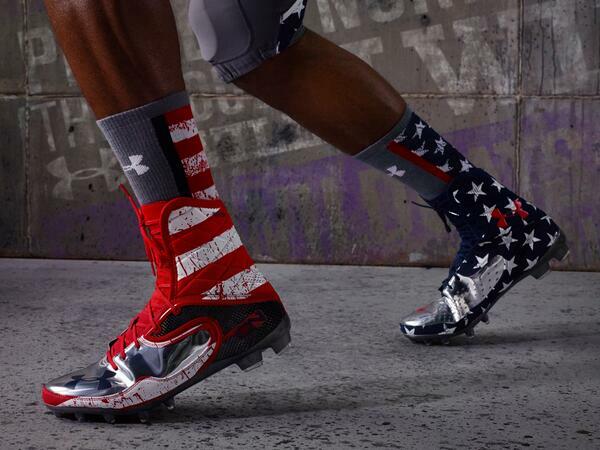 On Monday, Under Armour unveiled the Wildcats’ special uniforms for the game that resemble Maryland’s "State Pride" uniforms but with the stars of the American flag on one side of the helmet and the stripes on the other side — and grey uniforms with shoulders that match the helmet. There’s matching stars-and-stripes as well. Oh, and one other thing: splattered blood. That’s what some have called the fine streaks of red on the helmet, shoulder pads and other areas of the uniform. Take a look. If those red streaks are what they appear to be, that’s obviously excessive and is already drawing ire around the Internet. 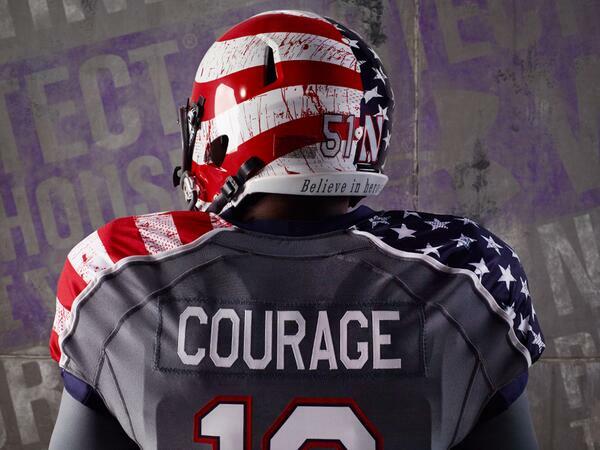 Northwestern means well, as the players’ jerseys will be auctioned off after the game with all proceeds going to the Wounded Warrior Project. The school will also donate 10 percent of the earnings from replica jersey sales on its website. That, in itself, won’t prevent futher criticsm for the ill-advised design detail, though. • NFL draft’s top 50 busts: Where are they now?